In a rare interview, Ross Perot sat down this past Thursday with USA Today Reporter Richard Wolf in his office in Plano, Texas. 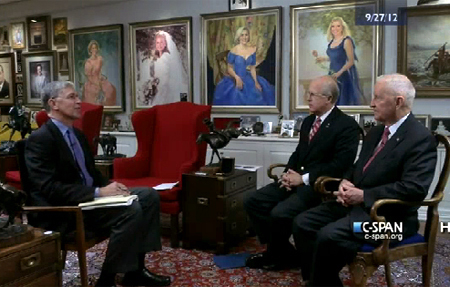 C-SPAN recorded the interview. Watch on C-Span. Many Americans spend their last days in an intensive care unit, subjected to uncomfortable machines or surgeries to prolong their lives at enormous cost. Steve Kroft reports. Watch on CBSnews.com. David Walker says America needs operational and political reforms to get on the right economic track. Watch at ComedyCentral.com. This is a byte-sized version of I.O.U.S.A., a film that boldly examines the rapidly growing national debt and its consequences for the United States and its citizens. The film has been a huge hit, getting rave reviews from Roger Ebert and others. Also available on Amazon and Netflix. Watch trailer on YouTube. 60 Minutes: U.S. Headed for Fiscal Crisis? David Walker, comptroller general of the U.S., totaled up our government’s income, liabilities and future obligations. He concluded the numbers don’t add up. Steve Kroft reports. Watch on CBSnews.com. 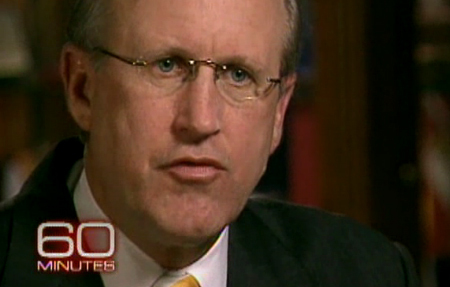 Accountant David Walker warns of a 50 trillion dollar deficit and Stephen asks if his haircut can be a tax write off. Watch on ComedyCentral.com.